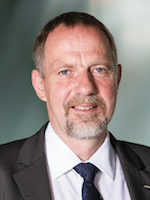 Detlef Günther was appointed as Assistant Professor at the Institute of Inorganic Chemistry of ETH Zurich in 1998 and became associate Professor in July 2003. 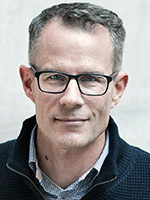 Since February 2008 he is full Professor for Trace Element and Micro Analysis and since January 2015 Vice President for Research and Corporate Relations of ETH Zurich. His research interests are trace element characterizations of different samples using Inductively Coupled Plasma-Mass Spectrometry and Laser Ablation-Inductively Coupled Plasma-Mass Spectrometry. He studied transport-processes of Laser-induced aerosols and the improvement of detection capabilities of ICP-Mass spectrometers for the determination of trace elements in liquid and solid samples. In the last years he worked mainly on new sample introduction systems for nanoparticles and laser-generated aerosols and on fundamental vaporization processes of particles within an ICP. 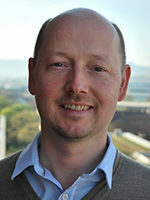 Andreas Häberle is director of the Institute for Solar Technology SPF at the University of Applied Sciences HSR in Rapperswil, Switzerland. 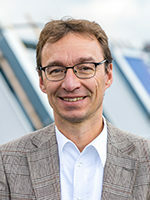 Dr. Häberle is a physicist from the Technical University of Munich and earned his PhD at the Fraunhofer Institute for Solar Energy Systems in Freiburg, Germany in the field of concentrating solar thermal collectors. 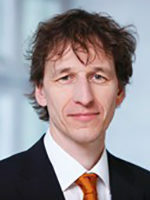 In 1999 he co-founded the company PSE AG that offers various technologies and services for the solar sector. The institute SPF has been a driving force in research and development of innovative energy technologies for more than 30 years, with focal areas in energy efficiency and renewable energies in general, as well as solar thermal and solar electrical energy in particular. 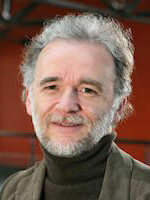 After a graduation in chemical engineering from the University of Liège, François Maréchal obtained a PhD from the University of Liège in the LASSC laboratory of Prof. Kalitventzeff. This laboratory was one of the pioneering laboratories in the field of Computer Aided Process Engineering. 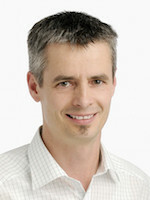 Since 2001 he is working in the Industrial Energy Systems Laboratory (LENI) of EPFL where he is leading the R&D activities in the field of Computer Aided Analysis and Design of Industrial Energy Systems with a major focus on sustainable energy conversion system development using thermo-economic optimisation methodologies. His present R&D work concerns the application of multi-objective optimisation strategies in the design of processes and integrated energy conversion systems. Dr. Martin K. Patel is full professor at the University of Geneva where he holds the Chair for Energy Efficiency since September 2013. He also has an adjunct professor position at Michigan State University (MSU), USA. His research deals with energy savings and emission reduction in industry, the built environment and at the interface between energy supply and energy demand. This includes the environmental and the economic assessment of technologies, processes, products and services as well as the evaluation of policy programmes. Next to energy efficiency, bio-based products represent a particular focal area of his work. The research methods applied include techno-economic modelling (simulation), Life Cycle Assessment, economic assessment (micro & macro) and policy analysis. Greet Van Eetvelde started a university career in 1991 as a research scientist at the Ghent University laboratory of Wood Technology and was granted a British Council fellowship in 1994 for post-graduate environmental research in wood preservation at the Building Research Establishment in Garston Watford, UK. As an academic assistant, she completed her PhD research on the environmental and chemical appraisal of wood preservation in 1998. Appointed part-time professor in 2000, she is head of the transition management research unit within the UGent Center for Mobility and Spatial Planning. In the second professional part-time, Greet Van Eetvelde subsequently headed the UGent corporate environmental department and the Ghent University Association research staff. 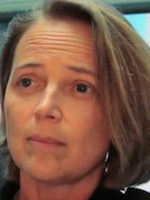 From 2007 till 2011 she was CEO of Greenbridge nv and director of the UGent energy platform Power-Link. 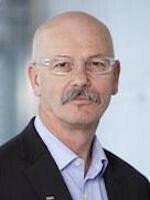 Since October 2011 Greet Van Eetvelde is employed as manager cleantech initiatives at INEOS Europe AG in Switzerland. In view of her academic background she i.a. embodies the R&D liaison with EPFL, coordinating the industrial research projects and managing the INEOS R&I landscape. Since March 2015 Greet Van Eetvelde is appointed as invited professor at the EPFL in the frame of the SCCER EIP. 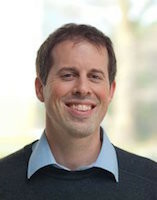 Thomas Wintgens is Professor in Environmental Technologies at the School of Life Sciences – University of Applied Science Northwestern and Arts Switzerland since September 2008. He is leading a research team working on water and wastewater treatment technologies in municipal and industrial applications as well as on management of scarce water resources. Thomas graduated as an Environmental Engineer from RWTH Aachen University after studies in Aachen, Delft, Exeter and Helsinki. He did his PhD on membrane bioreactor technology for wastewater treatment.